Unlike regular oranges, blood oranges are only available for a few months each year. When they are in stores, we stock up on them — as should you. 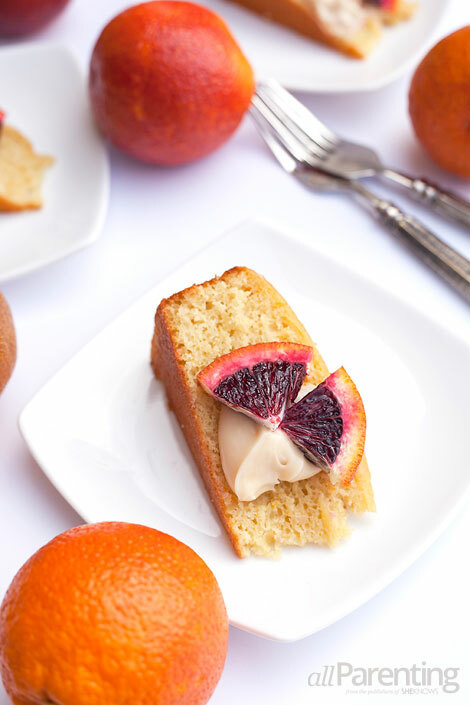 Because you'll need them for this irresistible blood orange olive oil cake. Trust us on this one. With their beautiful color and delicious flavor, blood oranges are definitely a bright spot in the winter and spring months. We love using them in everything from blood orange donuts to various cocktails. In this blood orange olive oil cake, we've used the zest, the fruit and the juice to create a yummy dessert that's moist with just the right amount of sweetness. While the cake doesn't need any icing at all, we found that a mixture of honey and mascarpone cheese spread on top was an excellent addition. Preheat oven to 350 degrees F and grease an 8- or 9-inch round pan with butter and lightly dust with flour. Shake out any excess flour. Set aside. Add sugar and zest from 2 blood oranges to a large bowl and mix with a spoon. Cut off 1/2 inch of each end of the 2 zested blood oranges. Using a sharp paring knife, carefully cut away the outer rind and pith from the blood oranges. Using the knife or your fingers, carefully peel away the membrane of the orange from the pulp. Place the segmented blood orange pieces into a small bowl and discard the membranes. Add the blood orange juice and buttermilk to the bowl with the sugar and orange zest and whisk together. Whisk in the eggs, 1 at a time. In a smaller bowl, combine the flour, baking powder, baking soda and salt. 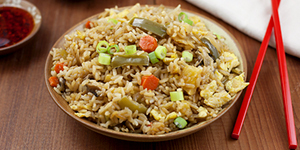 Whisk the dry ingredients into the wet ingredients, until just combined. Using a spatula, fold the olive oil into the batter and then do the same for the blood orange segments. Scrape the batter into the prepared cake pan and bake for 30 to 35 minutes, or until golden in color and a cake tester inserted in the middle comes out clean. Cool on a rack for 5 minutes before removing from cake pan and placing on a cake stand or a large plate. Continue to let the cake cool. Cut the cake into equal parts before serving and enjoy! If desired, combine equal parts honey and mascarpone cheese in a small bowl and add a dollop to the cake right before eating.